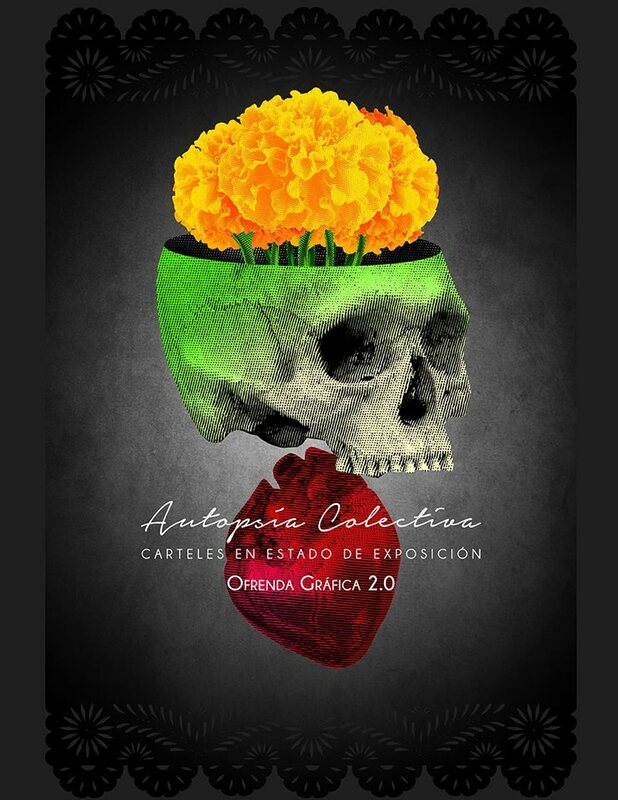 Autopsia Colectiva is a collective that was founded in Jalapa, Mexico in 2015; and has now expanded to include graphic designers around the world in the making of an online posters web exhibition as a way of Graphic Offering for the Day of the Dead this year. The mission of the collective is to Add value to society through design thinking, management of art and cultural promotion. They seek to promote design and the arts in all its manifestations, organizing exhibitions, exchange forums, promotions, publishing, conferences, continuing education, and the preservation of poster design as a form of expression, communication and reflection. The online exhibition opened to the public on November 2nd. Check out the collection here.